Last night I attended a gala performance by The Lady Boys of Bangkok after I was lucky enough to be invited along as a blogger. This is a new show for 2013 called Glamorous Amorous. I have heard of The Lady Boys of Bangkok but have never attended one of their shows so I unsure what to expect. I am a performer myself and have seen several West End shows so I knew that it was likely that I would enjoy it. 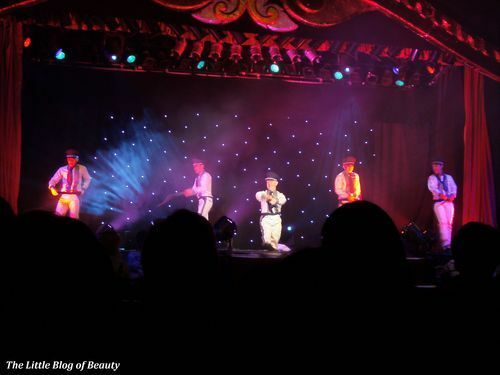 The show is performed in the Lady Boys own purpose built venue called the Sabai Pavilion. This consists of a stage, tables which seat up to eight people and a fully licensed bar. They also have a resident chef and an extensive menu of authentic Thai dishes that you can enjoy during the show. The cast consists of 16 male performers. A few members of the cast perform as males, one cast member appears to perform more as a drag artist but the majority of the cast are Lady Boys. The show involves a wide range of music from YMCA and I Will Survive to Girls Aloud, JLS and Nicki Minaj. There was even a number based on 50 Shades of Gray and of course they included some Gangnam Style. The songs are mimed with some songs performed as they are and some featuring updated (and very funny) lyrics. Under 16’s are not permitted as some of the numbers and lyrics are a little naughty. I was unsure whether you were allowed to take photos (they said no flash photography but I’m not sure whether this meant no photos at all or just no photos with flash) and also I was concentrating on the show but I did snap a few photos. Most of them were unfortunately too blurry but I did manage to get a clear one of The Full Monty, unfortunately this was before any clothes came off! Obviously the costumes were glamorous, flamboyant, sequined and at times barely there, but the Lady Boys certainly have the figures for them (and they are all gorgeous as well)! The performances were very entertaining and at times very funny and I definitely wanted to get up there with them as it’s been a few years now since I last danced on stage. The only thing I would say (coming from a background of over 20 years training in dance) is that sometimes there needed to be a little more arm extension or ‘performance’ in the dancing from a couple of cast members, but that’s just me being a perfectionist. 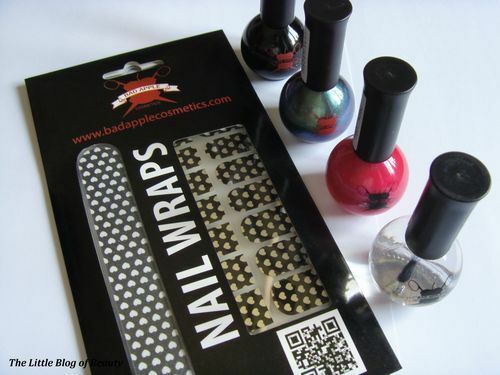 The show is sponsored by Bad Apple Cosmetics and I was surprised to be presented with a little goody bag containing some of their nail varnishes and a pack of nail wraps. 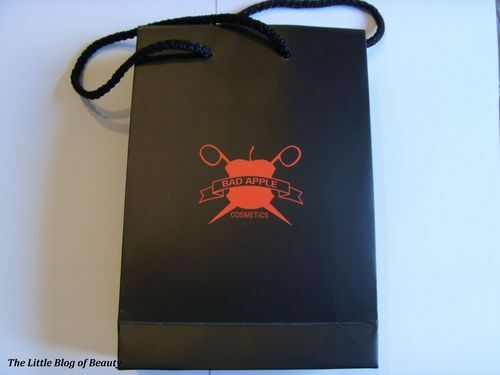 I will obviously give these a try and post a review in the future. If you are a fan of West End shows or cabaret type performances or just like an entertaining show then I would recommend going to see The Lady Boys. Tickets range from £20 up to £32 (with discounts available on some tickets for students) but prices may vary depending on location and how many tables they can fit in. The show will be staying in Derby until 13th April 2013 but this will then tour around the UK. 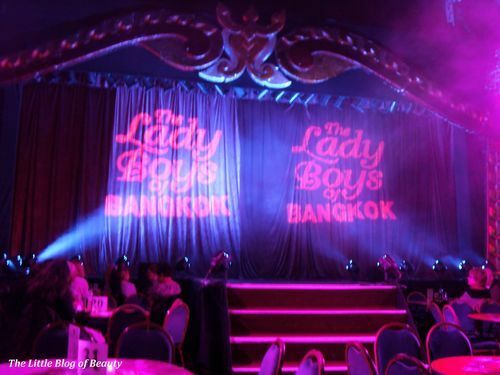 You can see where The Lady Boys will be visiting and book tickets here. You can also follow The Lady Boys on Facebook and Twitter. Thank you to the lovely Terri for organising the night and inviting me along.